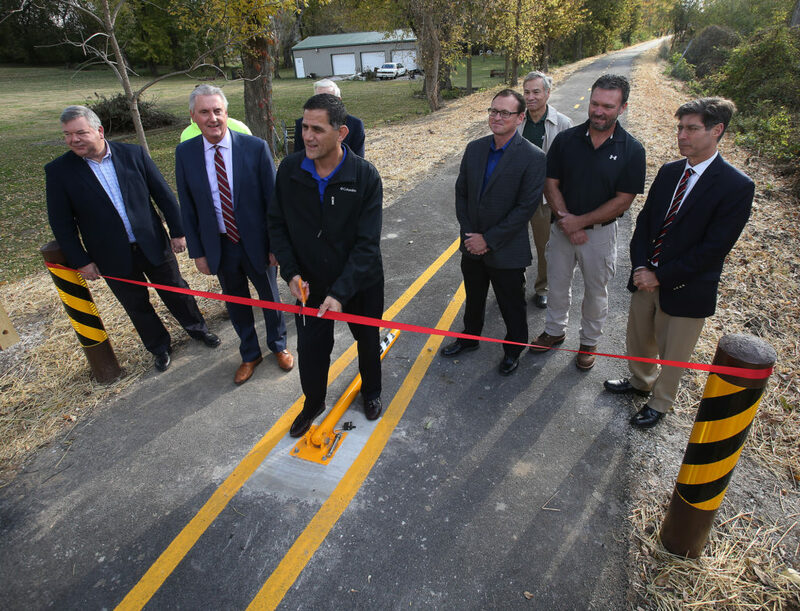 The Cottage Hills multi-use path is a 4,900-foot long, 10-foot wide asphalt path that runs from Wood River Township’s Kutter Park to the VFW Post in Cottage Hills. The path starts at the entrance to Kutter Park along Franklin Avenue and runs north-south to abandoned railroad right-of-way before turning east-west, where it runs along the old railroad alignment to the VFW Post along S. Williams Street. The path provides Cottage Hill’s 3,700 residents a recreational and alternative transportation corridor to Kutter Park. The path is also part of a vision to link to recreational destinations throughout Bethalto – with planned connections to Gordon Moore Park in Alton, the Bethalto Sports Park, and into Bethalto along Erwin Plegge Boulevard. Oates Associates provided field survey, design, and construction administration services.